Under the patronage of H.E. Rasheed Al Maraj -Governor of the CBB BAB is holding its second open dialogue with its members, non-members & partners after the great success last year, on 21 April 2019 at the Jumeirah Royal Saray Bahrain. Please note that attendance is limited to CEO’s or deputies only. Under the patronage of H.E. Shaikh Salman bin Khalifa Al-Khalifa - Minister of Finance and National Economy & H.E. 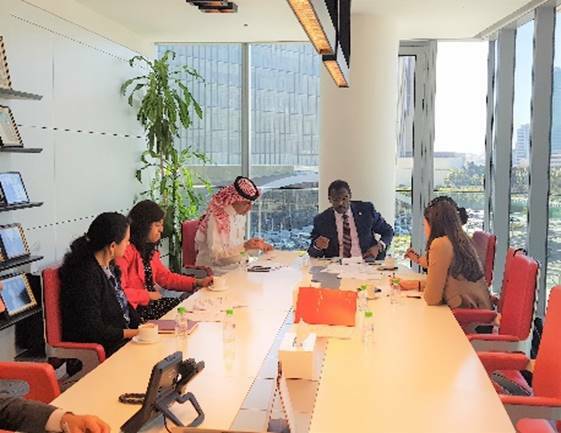 Rasheed Al Maraj -Governor of the CBB, BAB is preparing to hold the annual reception for Bahraini banks on 19th October 2019, at the Fairmont Hotel in Washington, D.C. Under the patronage of HRH Prince Khalifa bin Salman Al Khalifa, BAB is preparing to celebrate 100 years of Banking in Bahrain which will be held on 11 December 2019 at The Ritz Carlton Hotel, Bahrain. CBB requested BAB to discuss the current practices regarding the methods for computing interest/profit on unpaid credit card dues, conversion of FX transactions into Bahraini Dinar, disclosures to customers. Keeping in view, the principles of fair treatment of customers, consistency and other relevant conduct of business principles and develop a unified comprehensive Code of Practice. Accordingly, BAB came up with a proposal which is currently being studied by the CBB. BAB invited its members to a meeting to discuss The Impact of Government’s Voluntary Retirement Scheme on Banks in Bahrain on December 2018. As an outcome of this meeting, BAB sent a letter to the CBB which included all committee members views, challenges/concerns as well as suggestions on the way forward. BAB is still following up with the Central Bank in this regards. CBB issued a circular requesting all banks to provide a report detailing the total number of affected customers where failed transactions resulted in unclaimed cash balances, the total amount outstanding for such transactions and any measures taken to prevent recurrence of such transactions. 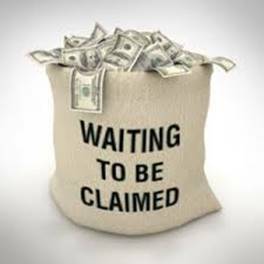 BAB is working closely with Banks to find a way to overcome their challenges and comply with the CBB requirements. CBB requested BAB to develop a comprehensive unified code of practice on the subject – “Treatment of retired individuals” by retail banks. Currently, a committee is drafting the proposal. In the meanwhile, BAB has circulated 2 Questionnaires to all members to get a wider understanding of all the Banking Services provided to Retired Individuals. 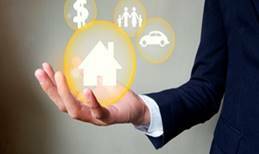 The Committee will also include the issue of dealing with Customers who are retired under the Government Voluntary Retirement Scheme. BAB Digitalization & Cybersecurity Committee has initiated a meeting to discuss Open Banking. As a result of that meeting BAB sent a letter to the CBB which includes members concerns and seeking clarifications on several aspects. BAB executives attended the 3rd Middle east & Africa FINTECH Forum at the Ritz Carlton Bahrain. 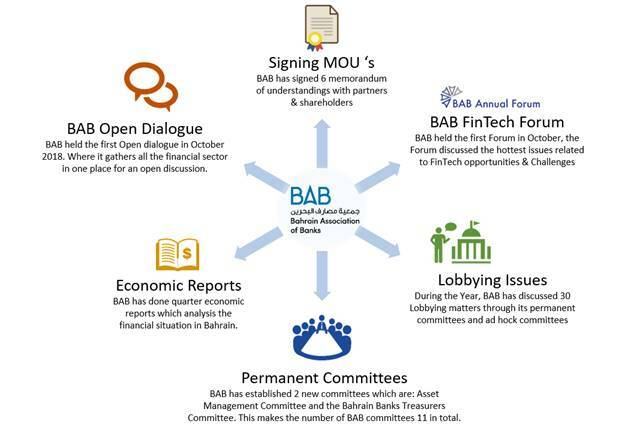 The forum, which is hosted by Bank ABC and Arab Financial Services, brought together internationally renowned thought leaders, practitioners and innovators from the FinTech and artificial intelligence (AI) arenas to discuss a wide range of issues including the future of banking, the potential impact of AI and how it will transform the future, open banking, crowdsourcing and financial inclusion. RegFact 2019 was held at the Diplomat Radisson Blu under the patronage of the Central Bank of Bahrain. 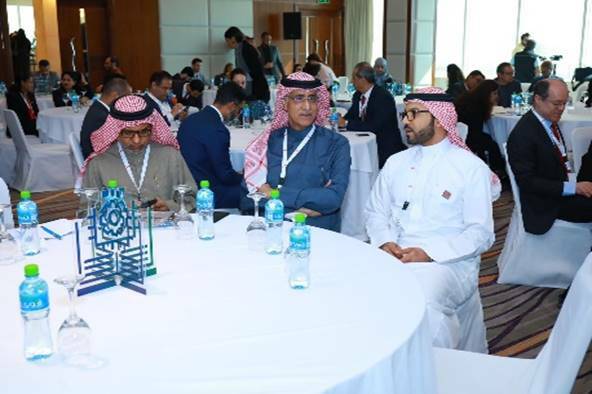 The event brought together local and global regulators, policy makers and policy advocates in the regulatory technology industry, and 250 delegates from various financial and governmental sectors in Bahrain, and the MENA region. The one day event included insightful sessions on Bahrain’s Regulatory Landscape, Streamlining the compliance process, open banking and technology, The Way Banks Work with FinTechs, The Importance of Data Protection, Cybercrime and Identity Theft, and the growing role of Fintech. RegFact kicked off by an introduction from Jonathan Dunsmoor, Founder, Dunsmoor Law, P.C. with welcoming remarks by Khalid Saad, CEO, Bahrain FinTech Bay, and David Parker, Executive Director, Financial Services, Bahrain Economic Development Board. 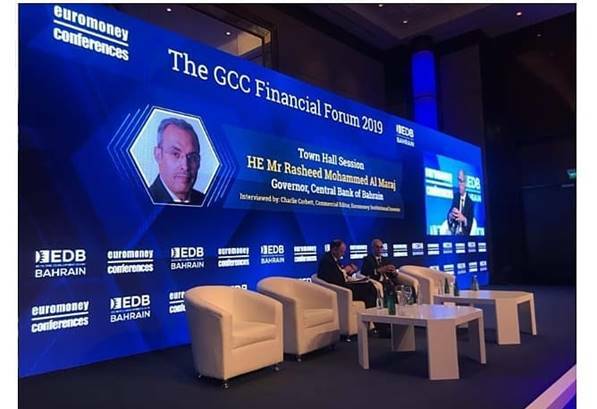 The annual GCC Financial Forum was held in Bahrain During February 20109. as Bahrain continues to play a pivotal role in the global financial ecosystem, with leading regional and global industry heavyweights supporting the event. 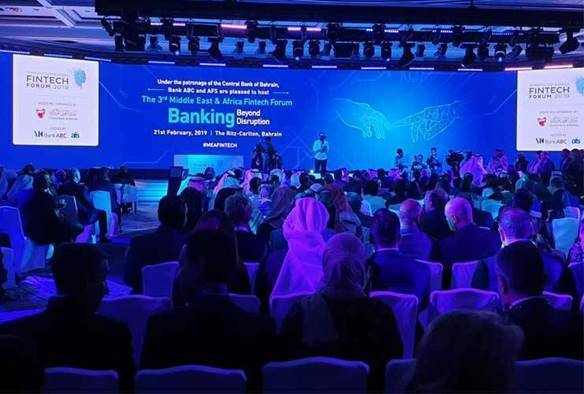 BBK, BNP Paribas, NBB and Al Salam Bank Bahrain sponsored the two-day showcase, which was also the anchor event of the annual Fintastic Bahrain Week where innovation and technology in the financial sector take center stage . Dr. Waheed Al Qassim, CEO of BAB visited the Legal & Regulatory Framework Committee during their meeting yesterday. Dr. Al Qassim stressed on the importance of speeding up the Financial Sector Court Project which the committee is currently working on.